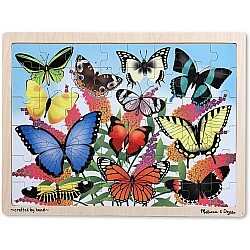 Glorious butterflies flit and flutter through a blooming garden in this 48-piece jigsaw puzzle. 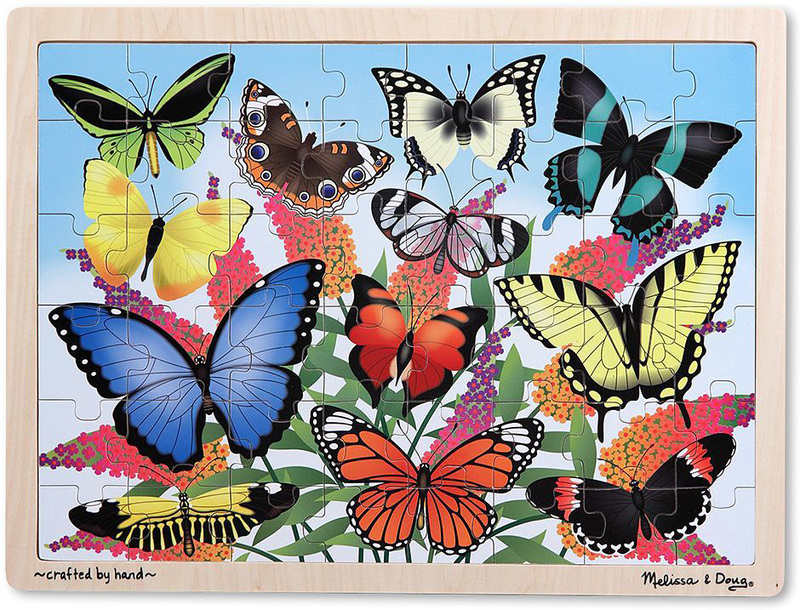 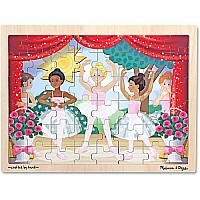 Durable wooden pieces and a sturdy puzzle board ensure this scene will always be in season! 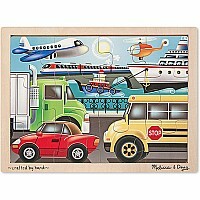 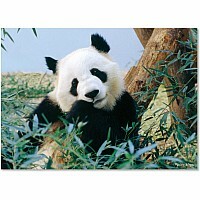 Measures approximately: 15.70 x 11.70 x 0.45 inches..